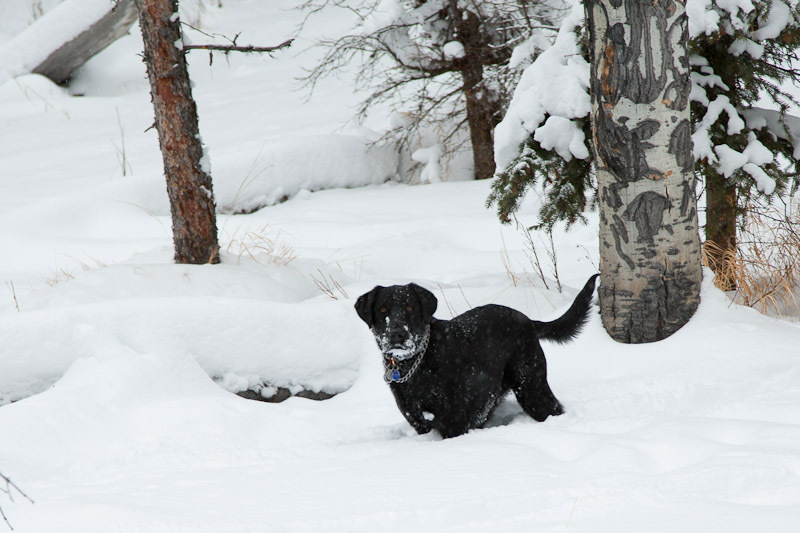 The Rockies are experiencing a series of small storms this week that have surprised some areas with substantial snowfall. 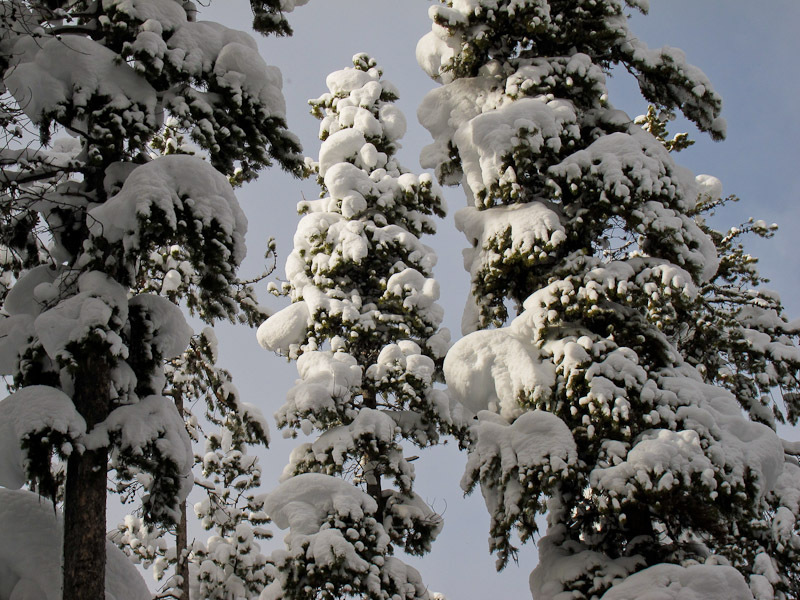 This weekend, a larger storm system will drop down from British Columbia, according to PowderChasers. The most exciting news for Western mountain snowpack is the coming of an even stronger system projected for the middle of next week. 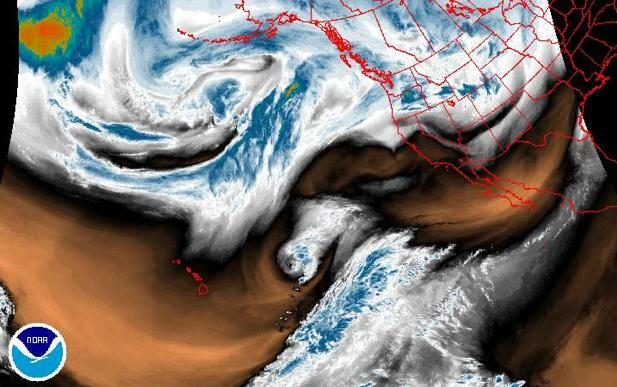 The storm is set to move East across the Cascades and Sierras into the Rockies and the Wasatch. The Pintlers, home to a substantial portion of the Big Hole Watershed's snow reserve, are currently engulfed in a ferocious looking snow cloud. I'm headed home to Wise River and the Big Hole Lodge for the long weekend and plan to break out the neoprene between these coming systems! A longtime friend and faithful client of Big Hole Lodge passed this article on to me and it is too important not to share. Thanks, Lewis! "THE YEARS WE SPEND LEARNING TO CAST AND DRIFT A FLY OR THE THOUSANDS OF DOLLARS WE SPEND ON GEAR AND TRAVEL ARE ALL WASTED IF WE DON’T HAVE FISH. With more anglers entering the sport every day, sport fish are heavily pressured and in grave danger. There are a lot of common mistakes that anglers make which contribute to fish mortality. Most are innocent and many don’t show an immediate risk. With that in mind here are fourteen tips to help keep our little friends happy and healthy." Tickets($10) are available locally in advance both at the Stonefly Shop and online through this link at the Motherlode Theatre Box Office. They are also available at the door on the night of the event for $10. Door open at 6.00 pm. Please come early and join us for a pre-event social gathering. Film starts promptly at 7.00 pm. Please note there are no tickets available through F3T online for this event. For more information please contact Chris Bradley, 406-494-0707 or admin@thestonefly.com. 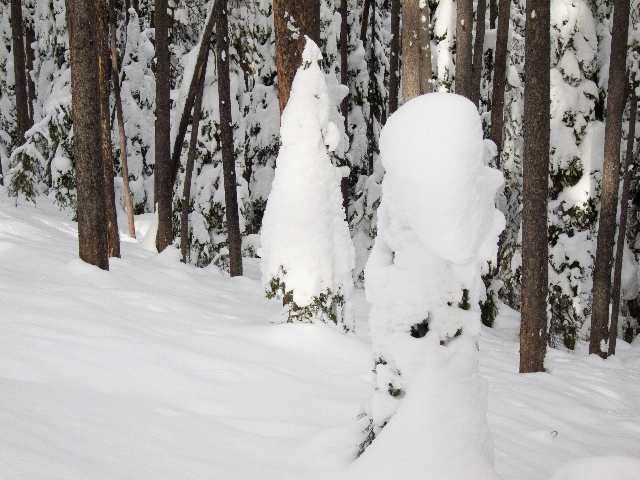 Lost Trail Ski area, near the Top of the Big Hole Watershed, is reporting 27" new inches out of the latest storm system. This brings the settled base depth to 85" and brings areas of the Watershed to 114% of historical average snowfall. 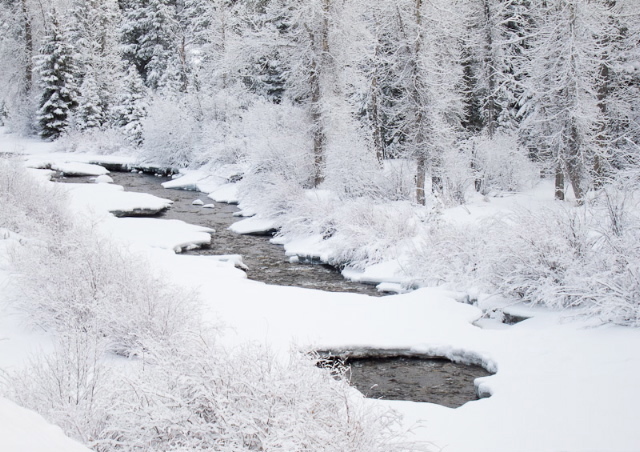 Basin wide, we are sitting pretty at 102% of average snow-water equivalent and 101% of average total precipitation. Learn to Spey Cast with a World Champion! 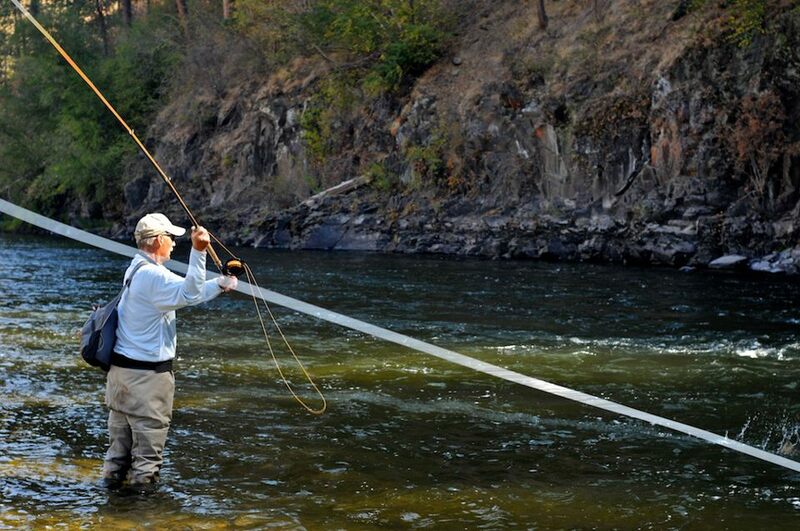 Is learning to Spey cast on your radar for 2013? If so, please make plans to join Craig Fellin, owner of Big Hole Lodge; Whitney Gould, Woman’s World Champion Spey Caster; and Mike McCune, accomplished instructor and legend in the Spey casting world, on a hosted five-night / four-day casting event at Big Hole Lodge in southwestern, Montana May 4-9, 2013. Space is limited so don’t delay. $3,290 per person based on double occupancy. Call us at (406) 832-3252, or Denise Schreiber at 1-800-245-1950 or visit Frontiers Travel online. Added: Nov 19 2012Want to learn to Spey cast? 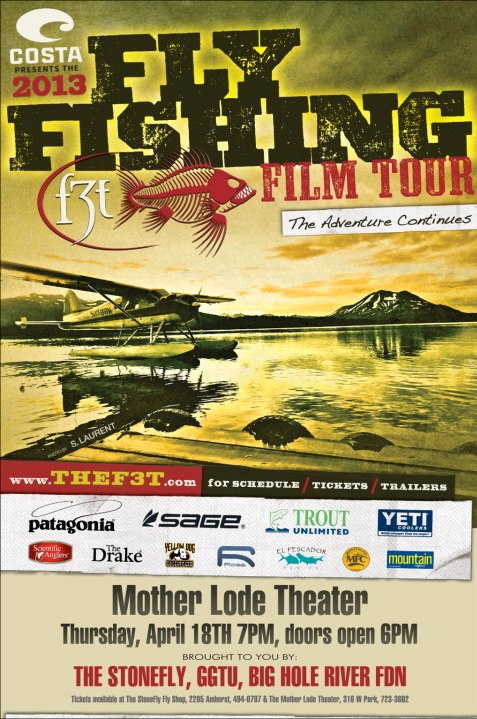 Make plans to join Craig Fellin and Women's World-Champion Spey Caster Whitney Gould and her fiance Mike McCune who is an icon in the sport of spey casting in his own right and an experienced instructor, on a hosted five-night / four-day casting event at Big Hole Lodge in southwestern, Montana May 4-9, 2013. Space is limited so don't delay. Call Denise Schreiber or Barbara Alden for more details at 1-800-245-1950 or visit Frontiers Travel online. And read about Craig Fellin's Spey casting breakthrough. After finishing a successful fishing season with our guests at Big Hole Lodge in southwestern Montana, there I was, standing knee deep in the Grande Ronde River on the border of southeast Washington and northeast Oregon. I was enrolled in a three-day / two-night Spey casting clinic with casting guru Dec Hogan and outfitter Troy Dettman. I had struggled for a year, trying in earnest to master the Spey cast by reading a book and viewing a DVD by renowned English Spey caster Simon Gawesworth. In addition, Whitney Gould, three-time and current woman's world Spey casting champion, and Mike McCune, Spey casting Jedi and fly line designer, had given me a short casting lesson on this very same river the previous fall. I took this knowledge to the Salmon River a few weeks later and promptly forgot everything they had taught me. The Spey cast, I painfully discovered, was not an intuitive motion that can be picked up in a short time on the water. With nearly 40 years of single-handed fly fishing experience, I thought this would come naturally to me. Wrong! My self-teaching experience over the past year had been similar to teaching myself how to play golf without the aid of an instructor. Humbling was not the right term. There were days when I was ready to launch my very expensive, two-handed, 13-foot-6-inch Orvis Helios Spey rod as far into the bushes as I could manage. I fished the famous rivers of the Olympic Peninsula for two months last winter in hopes that things would fall in place for me, but all I did was practice my mistakes, and if anything, my self-esteem was what was falling. I finally hit the wall and decided that if I wanted to be a Spey caster, I needed personal instruction. I had enjoyed reading Dec Hogan's Passion for Steelhead, which is destined to be a classic in steelhead fishing literature, and saw that he was offering a casting clinic with Troy Dettman. When I stepped into the boat to begin the three-day clinic, I felt a sigh of relief that someone was not only going to show me the Spey cast, but would actually see my mistakes and correct them. The second day, I worked with Dec Hogan. I felt more confident about my double Spey cast from the previous day's instruction. 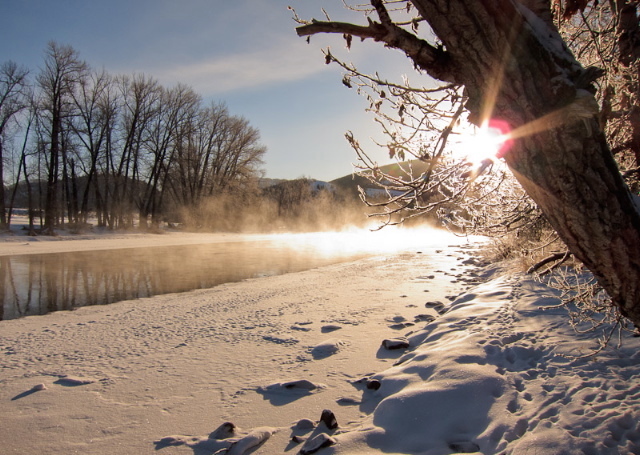 After a short boat ride early in the morning, Dec put me in a classic steelhead run before the sun hit the water. On my fourth cast, a good one thanks to Dec, the fly swung into the sweet spot of the drift. I felt the tug, so I gave the fish the loop of line hanging from my reel. He immediately turned, and I struck to the bank side of the river. I could feel the power of the wild steelhead straining against my line. After a fifteen-minute battle, Dec grabbed the fish by the tail. It was over. As I held my first proper Spey catch in my hands and watched his gills working back and forth, I thanked Dec for putting me on to the beautiful steelhead. With my new proficiency at Spey casting, I knew my life had changed for the better and now my Orvis Helios Spey rod is one of my best friends. We got our snowpack back! We sent Gus out for a little field research this afternoon. 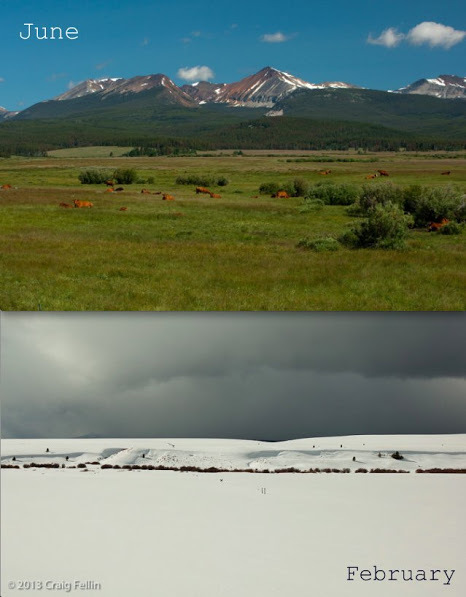 According to the United States Department of Agriculture, the Natural Resources Conservation Service, and The Portland, Oregon Climate Center, the Missouri River Headwaters is back to 98% of snow water equivalent and 100% of total precipitation, based on historical averages! 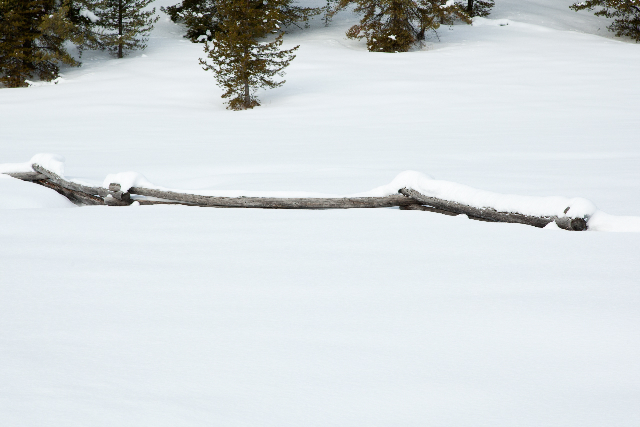 Craig and Gus were trekking around in the woods last week, with Craig on skis and Gus doing his best snowshoed rabbit impression. This jack-pole fence is shoulder height! Chris Winter was an avid fly fisherman, a conservationist, a ranch enthusiast and a loving father. Last month he was taken from us. 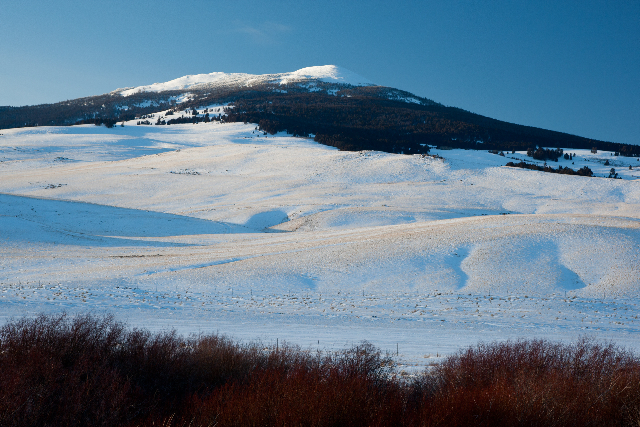 The Big Hole Valley in Montana has been a very special place to Chris and his family for many years. Beginning in 1988, they spent summer vacations on a ranch near Wisdom, Montana; a stretch of the Big Hole River flows just outside their small cabin. 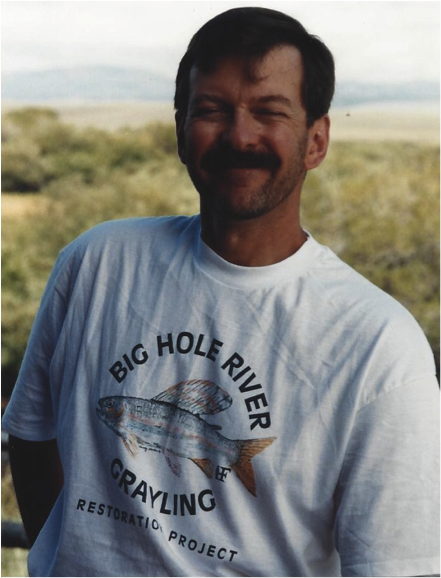 Chris was an avid fly fisherman, devoted to outwitting the wily trout of the Big Hole River. His time fishing on the Big Hole offered a peaceful retreat, a sanctuary for renewal. And, this is where he taught his daughters the art of fly fishing. Chris was quite taken with ranch life and he was proud of the ranching skills his daughters honed over the years. Chris was known as “Chuck Wagon Dad”, supporting his daughters as they worked side by side with local cowboys, who generously shared their expertise and taught them to rope and brand calves, doctor sick animals, mend fences and drive cattle. Given the wonderful memories and good times associated with this very special place, Chris’ daughters feel that furthering the important work of the Big Hole River Foundation would be a fitting tribute to Chris… so that he will live on through the waters of this amazing place that he loved so dearly. 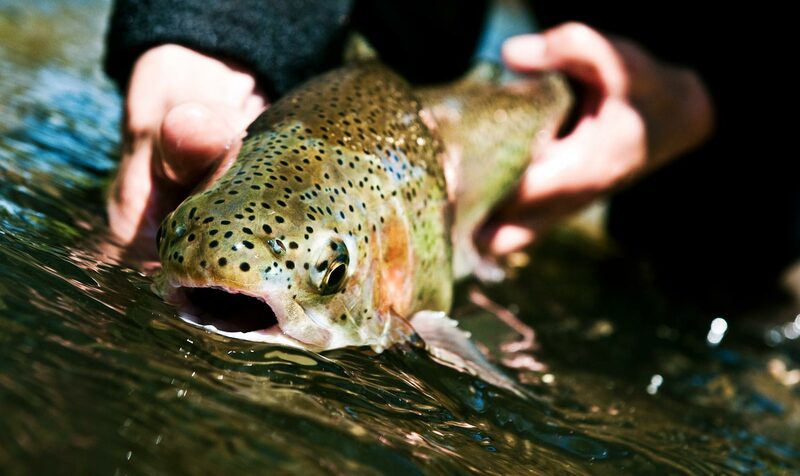 And, they will carry on the traditions created in Montana with their father, most importantly… pursuit of wily trout lurking in the Big Hole. 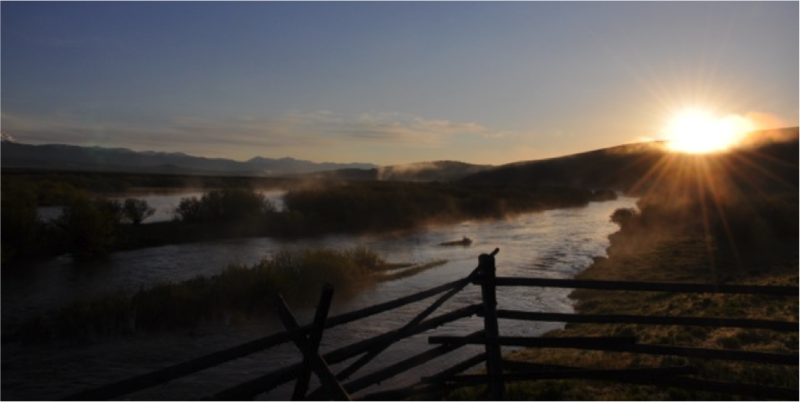 On behalf of Chris, we thank you for your contribution to the Big Hole River Foundation. Donations may be made through the PayPal link above or checks or money orders can be sent to: BHRF, PO Box 3894, Butte, MT 59702.